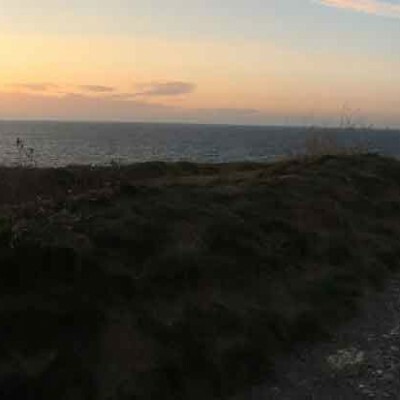 Devon Camper Hire hires the campervan (including any replacement vehicle) to you subject to this Rental Agreement which incorporates these terms and conditions and the information and conditions contained on the booking form that you completed and agreed online or completed and signed on paper. In entering into this Rental Agreement you accept these terms and conditions and confirm that you will strictly comply with them. The rights and obligations contained in these terms and conditions govern your use of our campervan and are not transferable by you. You acknowledge that the campervan is owned by us and that any attempted transfer or sub letting of the campervan by anyone other than us is prohibited and a criminal offence. We permit you to use the campervan on the terms of this Rental Agreement only. “The Camper” – This means the VW campervan hired to you under this Agreement and as specified to you by us including all tyres, tools, accessories and equipment. “Security Deposit” – The sum of £750 as detailed below paid by cash, debit or credit card. On receipt of the booking form, the signed terms and conditions (or terms and conditions confirmed as agreed online), completed insurance form, your deposit and receipt of written confirmation from us this contract shall have effect. The balance of the hire charge (full charge less deposit) is due 28 days (4 weeks) before the start of the rental period. A security deposit of £750 is payable (in cash or credit/debit card or cleared bank transfer) on or before collection of your camper. Choice of Campervan Although we want you to have the campervan of your choice, we must allow for unforeseen circumstances. We reserve the right to provide you with a comparable alternative, without notice, upon collection. Should a substitute not be available upon collection, we will be responsible for a full refund of monies received only. All rights are reserved by us to refuse any hire if in our reasonable opinion you are not suitable to take possession of the vehicle. No refunds are payable on accommodation, or campervans not being available where you change, cancel or seek to vary the Agreement after departure. We take no responsibility for any detention, delay, loss, damage that you might experience unless caused by our negligence. Cancellations between the time of confirmed reservation and 28 days before the rental period- the booking deposit is forfeited. Cancellations between 28 and 7 days of start of the rental period – a fee of 50% of the balance of the payable hire charge will be incurred. Cancellations less than 7 days before the rental period commences – 100% of the total hire charges are forfeited. However, if we do manage to get another booking for the same campervan, for the same rental period we will waive the cancellation fee but not the booking deposit. Booking dates can be changed up to four weeks before the hire period commences. A new hire period can be selected on one occasion only. If you change your booking date, we will only honour booking deposits for a period of 12 months from receipt after which time the booking deposit is forfeited. Security Deposit The £750 security deposit is refundable on safe return of the camper, in the condition in which it left our premises subject to an inspection satisfactory to us. This must be paid to cover the possibility of damage (whether negligent, wilful, accidental or otherwise) or loss to the campervan or the fixtures and fittings therein or the living equipment and windows, wheels, tyres etc included with the campervan. The campervan and all its equipment must be returned in good condition, with no damage to it, its contents or any third party property. The campervan must be returned with a full fuel tank. Your security deposit will normally be refunded within 7 working days of the end of the rental period. Should there be any damage or requirement for any repair, replacement or special cleaning, the costs will deducted from the security deposit before the balance is returned to you. You irrevocably authorise us to deduct from the Security Deposit any amounts due to us arising out of this Agreement. If we are not holding your card information, then you agree irrevocably to pay all charges upon request. In the event that there is a claim we reserve the right to retain the security deposit for such long a period as is necessary to quantify the charges incurred which are to be deducted from the deposit. The £750 security deposit will be used towards funding any loss or damage whatsoever to the campervan, equipment, fixtures and fittings as well as payment for the insurance excess. Charges If, on arrival to collect your campervan, your licence is unacceptable due to endorsements or defacement, you will be unable to hire the campervan and no monies will be refunded to you. The charges stated on the rental invoice reflect your use of the campervan during the rental period and include basic hire charges, insurance, charges for any optional or ancillary services chosen by you, and any applicable taxes at the prevailing rate. Additional charges may arise from your use of the campervan during the rental period, and may include (but are not limited to) loss of or damage to the campervan and its contents during the rental period and/or until the campervan is examined, the insurance excess, refuelling service charge and fuel cost, any late return charge, any additional driver charge, any pet damage charge, extra cleaning charge and any road tolls or fines for charges arising from traffic or parking offences during the rental period. Payment of Charges All charges and expenses payable by you under this Agreement are due on demand by us. If you do not pay all charges due, a late charge of 1.5% per calendar month on the outstanding balance and any collection costs incurred by Devon Camper Hire, including reasonable legal fees will be added. When you comprise more than one person, each person is jointly and severally liable for all obligations of you pursuant to this Agreement. Payment by Credit Card Where payment is paid by credit card, you agree that: a) we are irrevocably authorised to complete any documentation and to take any other action to recover from the credit card issuer all amounts due pursuant to this Agreement in respect of the Security Deposit and the hire charges payable; b) you shall indemnify and keep us indemnified against any loss incurred (including legal costs) by reason of notifying a credit card issuer of a dispute; c) we may process the credit card voucher. In the event that we elect to accept payment of the Security Deposit by holding an open security payment (which may be cancelled 7 working days after the completion of the Rental Period), you agree that we are entitled to obtain payment from the credit card issuer pursuant to the paragraph above (a) in respect of any amounts due which are not known at the time of cancelling the open security payment. Insurance The campervans all have comprehensive insurance for the first and any other named drivers. Insurance is only for our campervan. The interior equipment and other items as specified in the Campervan Handbook are not covered by the Insurance and any damage will incur costs in addition to the Excess. Drivers’ Licence, Health and History Drivers must be over 25 years of age and under 70, in good health and hold a full driving licence. “Good Health” means that you have no mental or physical disabilities which would interfere with your ability to drive, for example stroke/deafness/heart condition/diabetes/loss of limb/loss of sight in an eye/epilepsy. In addition, you must not be taking drugs likely to affect your driving or drugs prescribed by a registered medical practitioner for treatment of drug addiction. You will need to have held a UK driving licence for at least 3 years, or a European Union Licence for at least two years. We will require the driving licence numbers and other identification information for all those who intend to drive, when you make your booking. We will need to see the driving licences for all named drivers, plus another form of identification such as a recent utility bill (for each driver) on collection of the campervan. A maximum of 3 drivers per rental is allowed by our insurers. You cannot drive away a campervan without us having sight of your licences and ID documents. Our Obligations We will supply the campervan to you in good overall and operating condition, complete with all necessary documents, parts and accessories. You agree to return the campervan to us in the same condition as you rented it, subject to fair wear and tear, with the same documents, parts and accessories, at the location and on the date and time designated in this Rental Agreement or sooner upon demand by us. Failure to do so may result in further charges becoming due and payable by you. Condition You and we will check the condition of the campervan at the start of the rental term and on return of the vehicle. You acknowledge receipt of the campervan which appears, upon visual inspection, to be in good, clean condition and sound working order on collection. It is your responsibility to check the campervan for existing damage, upon collection of the vehicle and to inform us of such before you depart. When you arrive to collect your campervan, please ensure you allow at least an hour for us to show you around the campervan, how to drive the campervan, and how to operate the cooker, sink, fridge, roof, camping gaz, water storage and other accessories and to brief you on our health and safety guidelines. We will also need to complete the paperwork in that time. You will also need time to load your luggage into the campervan. Return The Campervan must be returned by 11am on the last day of the hire, unless otherwise agreed. Hire periods must be respected as this has an impact upon insurance as well as the next person’s holiday. Late Return If a campervan is returned to our premises later than the agreed time, without our prior agreement, £35 per hour will be payable. You will also be affecting the holiday of the next person to hire your campervan. Should the late return of the campervan make us liable for extra costs, we reserve the right to pass on these costs to you. Charges and costs for late return will be deducted from your security deposit. By signing this Agreement you agree to us making such deductions. Should the late return be due to accident you will be liable for any revenue lost due to the campervan being unavailable for hire. Please also note that if you are late returning the van and the insurance has therefore lapsed you will be responsible for any and all costs that occur whilst you are responsible for the campervan. Cleaning You agree that we are entitled to charge you an additional cost, if the campervan requires more than our standard cleaning on its return, to restore it to its pre-rental condition, allowing for fair wear and tear. Occupying the Campervan You must inform us on the booking form or subsequently in writing 7 days before the start of the rental period of the names and ages of all the people who will occupy the campervan during your hire. Failure to do so will be a breach of these Terms and Conditions and may invalidate insurance. Engine Care If there is damage or breakdown caused by your own actions, you will be liable for the cost of repair/replacement. This could be such things as pushing the engine too hard, or putting diesel in a petrol engine or vice versa, or burning out the clutch. This list is not exhaustive. You must take all reasonable and practicable steps to properly and safely maintain the camper including regular checks on; batteries, engine oil and other gauges, bulbs and tyre pressures and condition when driven more than 500 km, refilling or replacing as necessary. If you cause damage to the engine through ignoring the warning lights, you will be liable for any repairs required or even the cost of a replacement engine. Tyres You agree that the tyres on the Campervan are visibly sound and appear within legal limits. Any damage or repair to tyres is the responsibility of you, unless it can be shown that damage is due to invisible defects in the manufacture of the tyre which are covered by a manufacturer’s warranty, in which case we may reimburse you. For any reimbursement you must: a) Return the defective tyre to us for inspection and return; b) Produce appropriate receipts; and c) Accept the decision of the manufacturer as to whether reimbursement is made. Health and Safety You must follow the health and safety guidelines when operating the campervan and its appliances and using any equipment in the campervan or tent. The instructions for using the campervan and its accessories and facilities including the health and safety guidelines are provided to you upon receipt of the campervan verbally. Seat Belts, Booster and Baby Seats You must carry only as many passengers as there are seat belts in the campervan. Passengers travelling in any buddy seats do so at their own risk. You are legally responsible for obtaining and using a child or baby seat. For further info, visit www.gov.uk/child-car-seats-the-rules. We can accept no liability whatsoever for defective child or baby seats not supplied by us or the incorrect fitting by you. Fuel The campervan will have a full fuel tank upon collection. You need to return the campervan to us with a full tank. An administration charge of £10, plus the cost of the missing fuel will be deducted from your security deposit if the campervan is returned with missing fuel. All our campervans take diesel fuel. Please take care to use the correct fuel when filling up – you will be laible for any and all costs that are incurred due to incorrect fuelling. Camping gaz Camping Gas is provided for the cooker. We will meet the cost of one additional cylinder of gas on production of a valid VAT receipt. We will not pay for an incorrect size or make of gas cylinder and will charge you £70 for replacing the incorrect size or make of gas cylinder. Smoking It is illegal to smoke inside our campervans. 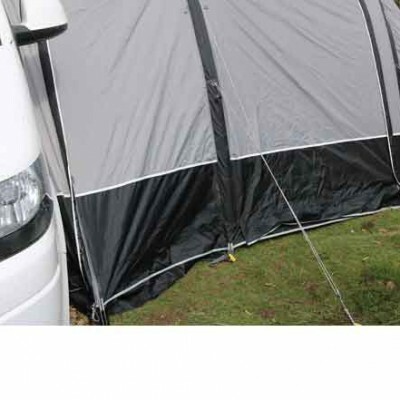 You will be liable for any damage caused to the campervan, the tent or their contents through smoking. Drinking Water We cannot be held responsible for the cleanliness of drinking water obtained from various campsites The water stored in the campervan is not drinking water. We do advise that you drink bottled water. Pets We welcome pets in one of our campervans – Bertha. We charge £25 per hire. This is for additional cleaning. Pets must be disclosed on our Booking Form and only pets that we confirm are acceptable may be brought into the campervan. All damage, however caused by your animals, will be charged to you. You undertake to comply with current law concerning the carriage of animals when travelling in the campervan at all times. Pets must never be left alone or unsupervised in the campervan. Keys In the event that keys are lost or damaged you will be liable for the reasonable costs of obtaining replacement keys, and any costs associated with providing the keys to you during the hire period You must lock the campervan at all times when not in use. Prohibited use of the Campervan You are authorised to drive the campervan on the conditions of this Agreement including, at all times, to use the campervan in a responsible manner. If you do not comply with these conditions, you will be liable to us for any liability or loss incurred by us or any damages or reasonable expenses we suffer or incur as a result of your breach of the Agreement. You may additionally lose the benefit of any waivers or insurance selected by you. We reserve the right to take back the campervan at any time, and at your expense, if you are in breach of this Agreement. You must look after the vehicle, make sure it is locked, secure and parked in a safe place when not in use. You must use seat belts, child seats and other child restraints as appropriate and required by law. Loss or Damage You will be liable to us for all losses and costs incurred by us in the event of loss, damage to or theft of the vehicle, its parts or accessories, while on rental, if this damage, loss or theft involves the deception of or by you or another party, or as a result of the keys remaining in the campervan whilst it is unoccupied, or was caused intentionally or negligently by you or your party. Your liability may include the cost of repairs, loss in value of the vehicle, loss of rental income, towing and storage charges and an administration charge, which recovers our costs for handling any claim arising from damage caused to the campervan unless responsibility for the damage lies with us or has been determined by a third party or their insurers to lie with the third party. You will not be liable to us for any charge or excess if the loss or damage is directly due to our negligence or our breach of this Rental Agreement. You will be liable for the loss or damage to any in- car entertainment equipment – cover for these items (i.e. the CD player) is not provided by our insurers. Breakdown If you have any difficulties report these immediately to us. In the event of breakdown, recovery or repair services will be provided. All our campervans have breakdown cover and details of this will be provided on hand over. If you incur any minor repair bills (reasonably incurred rectifying mechanical failure to the drive train and engine of the vehicle) we will reimburse you up to £50. This will not include repairs to the water system, refrigerator, heater and audio equipment. Just produce your valid VAT receipt on the completion of your hire (provided the hirer was not directly responsible for any damage). Repairs costing in excess of £50 must be authorised by us PRIOR to the work being undertaken. A replacement campervan may be offered but this will be subject to availability. Where a replacement is not available we will be responsible for your reasonable and foreseeable costs/expenses arising from the accident or breakdown unless caused by your negligence. Our liability extends to either replacing your campervan with a similar one or refunding your hire charge for any days you lose the total use of the vehicle. You will need to return to our premises, preferably with the breakdown service returning your original campervan, to collect a replacement vehicle, if one is available. If you have caused the breakdown through your own actions you will be liable for all costs incurred and we will not refund you any unused days of hire. If you have broken down you must remain at a safe distance from the campervan until the breakdown service arrives. You may not abandon the campervan at the roadside. You must hand over the keys to the authorised Recovery Vehicle Driver. If you abandon the vehicle, we will deduct any transport and labour costs incurred in returning the campervan to our premises and any costs arising from loss or damage to the campervan whilst it is unattended from your Security Deposit. Return of items left in the campervan We will be happy to return your belongings left in the campervan at an administration charge of £10 plus postage for each item. This will be deducted from your security deposit or invoiced as necessary. Your Liabilities You are personally liable for all road tolls, fines and legal penalties (e.g., parking tickets, speeding) which are incurred during your period of hire. Any charges subsequently notified to us, will be immediately communicated to you for payment within their terms. By signing (or confirming online) this Agreement, you accept this. You are liable for any losses or damage caused by you and/or your group and we cannot accept liability for any losses or damage or liability caused by you to yourselves or third parties, or their property. Breaches of these Terms and Conditions If you commit a breach of these Terms and Conditions or our Health and Safety Guidelines, we will have the right to terminate your booking without notification, and if you are already in the campervan, we may require you to return or vacate it immediately. In the event of you committing a breach of these Terms and Conditions no refund of the fees you have paid will be returnable to you. You will also be liable for any costs incurred in returning the campervan to our premises. Breaches in our Terms & Conditions or Health and Safety Guidelines may invalidate your insurance and you will be liable for all losses howsoever sustained including claims by third parties. Our Liability to You We will only be liable for any loss or damage suffered by you or any member of your party or to your or their property, where such loss or damage is due to our negligence. Where you are a customer acting in the course of a business, this paragraph shall apply instead of the one above. (You will have obtained our permission and that of our insurance company to use the campervan for business purposes.) We do not accept liability to customers acting in the course of a business for losses of profits, business, contracts, goodwill, anticipated savings, expenses, or other similar losses, for any reason whatsoever. To the extent permitted by law and except in the case of personal injury or death resulting from our negligence, the maximum limit of our liability to business customers, whether in contract, tort, negligence, breach of statutory duty or otherwise shall be the price agreed to be paid by you for the right to use the campervan for the period agreed. Whole Agreement These Terms and Conditions override and supersede all previous versions and any previous course of dealing between the parties and incorporate the whole Agreement together with any insurance conditions notified to you at the time of hire or collection (and which are available to view at our premises). In the event of any inconsistency between these Terms and Conditions and any other of our literature, whether found in our brochure or on our website or otherwise, the provisions of these Terms and Conditions will prevail. If any provision of these Terms and Conditions is prohibited by law or judged by a court to be unlawful, void or unenforceable, the provision shall, to the extent required, be severed from this Agreement and rendered ineffective as far as possible without modifying the remaining provisions of this Agreement, and shall not in any way affect any other circumstances of or the validity or enforcement of these Terms and Conditions. Below is an outline of our Health and Safety Guidelines. You will be given more detail about health and safety when you collect the campervan. General Safety Please take all precautions to protect your own health and safety and that of anyone else in the campervan including the health and safety of persons not in your party that may be affected by your conduct and actions. Do not leave your children unattended in the campervan or tent at any time. Ensure a responsible adult is in the vehicle at all times when the appliances are being used. Ensure you are aware of the location of safety equipment such as the fire extinguisher. Fire, accidents, breakdown, etc You will also be given verbal instructions when you collect the campervan. It is imperative that you and your party are familiar with these instructions. Seat Belts You must carry only as many passengers as there are seat belts in the campervan and ensure all passengers are strapped into the seatbelts when the vehicle is moving. You are legally responsible for obtaining and using a child or baby seat. Use of Appliances and Equipment Ensure you read the instructions for the use of the appliances and facilities in the campervan before using any of them. You will have been told how to use these when you collected the campervan. The instructions are to be found in this handbook. Please exercise caution at all times when using the appliances and facilities. Ensure the gas is turned off at the gas cylinder at all times when the cooker, is not in use. Please ensure all the appliances are switched off and the gas is turned off at the cylinder before retiring at night and before driving. To turn the gas off at the cylinder, turn the knob on the regulator clockwise. Turning this knob anti clockwise turns the gas on. Only use the appliances and facilities whilst the vehicle is parked on level ground, with the handbrake on. You may operate the fridge whilst the vehicle is moving. Never ever have the cooker operating with gas when you are driving. Before starting to drive the campervan, always ensure the electrical supply is disconnected. Stowage of the Table Top Please always ensure the table top is carefully stowed in place to ensure it remains safely secure should you need to brake unexpectedly. Use of a disposable BBQ Do not use any disposable BBQ in the campervan or awning (should you be using one) and keep it at a distance of 3 metres from the awning and campervan when used. Please seek permission before using a disposable BBQ on someone’s land, be it a campsite or a farm. Water – Please note that the water in your campervan is not drinking water. Towing – Towing with the campervan is prohibited. Driving – Please do not drive or operate anything in the vehicle when you are under the influence of drink or drugs or any medication that may cause drowsiness. We ask that you exercise caution at all times in the use of the campervan and its equipment, following instructions (given verbally on collection and provided in your campervan handbooks) where appropriate. Please do not hesitate to contact us (01837 880021/ 07990 503 931) if you are unsure about how to operate anything. Devon Camper Hire cannot be held responsible for any customer negligence where instructions have not been followed, or where unauthorised equipment has been used.